Foundation Design: Principles and Practices includes the most noteworthy research and advancements in Foundation Engineering. 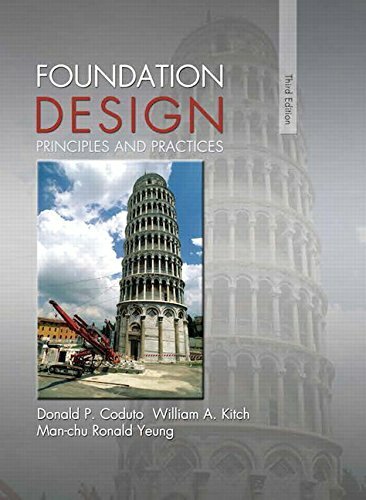 Following a systematic approach of identifying major concepts followed by strategic analysis and design, the Third Edition teaches readers not only how to understand foundation engineering, but to apply it to real problems. The highly up-to-date material places great emphasis on limit state design and includes a new focus on load and resistance factor design in both the structural and geotechnical aspects of the process.